Posted on 19 November 2012 and filed under Accessories. Proper autumn weather these days. Sometimes chilly, mainly grey and rainy at times. A few weeks ago we had the first snow of the season. 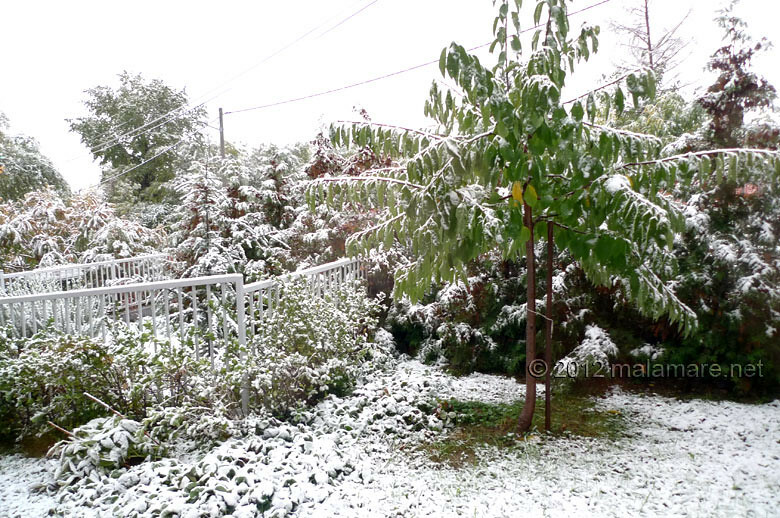 Saturday morning, I get up, take a look through the window to the garden, and there… there is snow on the ground, bushes, trees! This is how it looked like. It was too warm for the snow to hang around any longer than morning, but that was enough to make me start working on a new idea immediately. 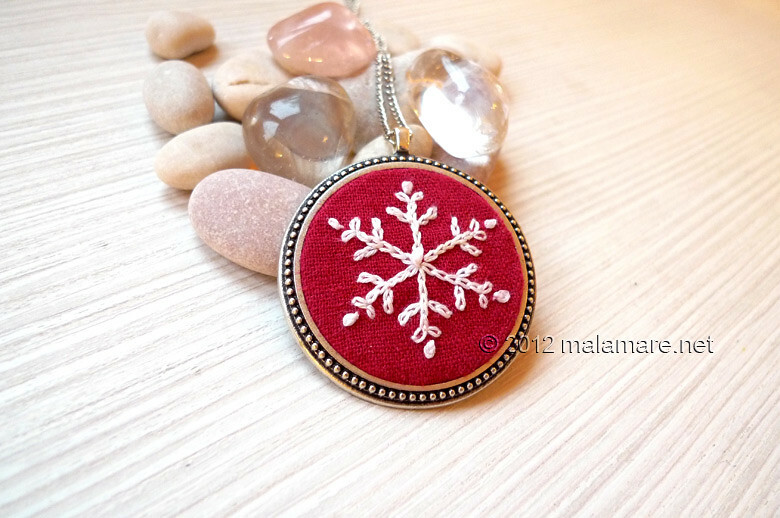 Hand embroidered necklace: a statement necklace with pendant featuring a snowflake. And as it goes, first a piece of paper and a pen and drawing the pattern. Then browsing through embroidery threads and fabrics: I need white thread and red fabric. Have I got jewellery parts for what I want to make, large metal pendant frame, chain and clasps? Yes, I’ve got them. Excellent. The Snowflake necklace has got a pendant of 5 cm diameter. 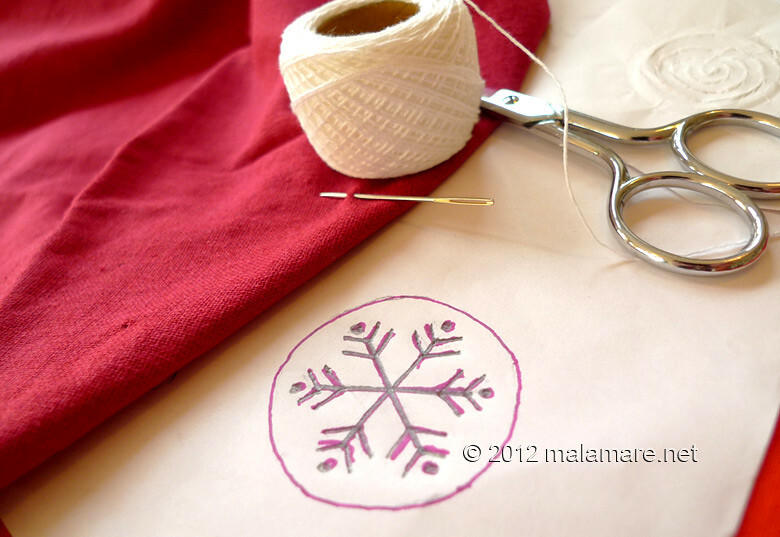 Pendant centre features a snowflake hand embroidered with white cotton embroidery thread in chain stitch and some French knot stitches onto red linen fabric. Necklace chain in silver colour is 60 cm long.